Another new Festool product came to my attention today. The OS400 Vectro is an oscillating tool which looks to me to be modelled after the Fein Supercut. I must admit that this one caught me by surprise and I’m intrigued to see this tool and see how it compares to the Fein Multimaster and Supercut range. The marketplace for this type of tool is pretty crowded but i’m sure that having “Festool” stamped on the side will drive sales. At present I have no further info as to release dates, price and English Info or videos. 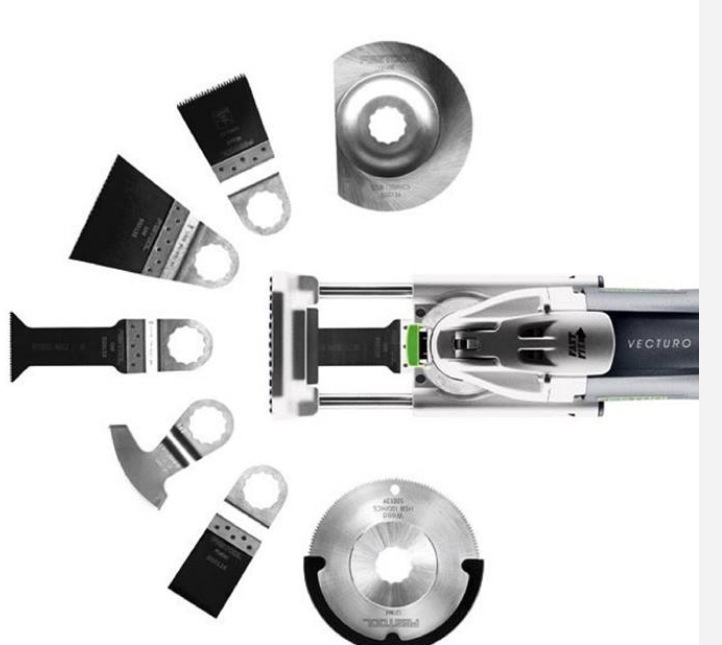 The Product pdf which you can view here ( VECTURO) comes from the Leza tool company in Belgium. I’ll investigate further and post any further updates as they come to hand. As always, be safe and have fun. Todnuhowc! That’s a really cool way of putting it!